These cream cheese and bacon jalapeno poppers are easy to throw in the oven. The combination of cheese, bacon, and spicy jalapenos makes these the best savory fat bombs, Keto snacks or Keto appetizers for your next party. Although they are naturally low carb jalapeno poppers, even non-ketoers will scarf them down! The best part about the Keto diet is we can have high-fat Keto snacks packed with flavor, rather than bland fat-free foods. Each week I like to make a savory fat bomb or dessert to incorporate into my meal plan to change it up. Following Keto doesn’t have to feel like a restricting diet there are so many flavorful Keto recipes you can try. 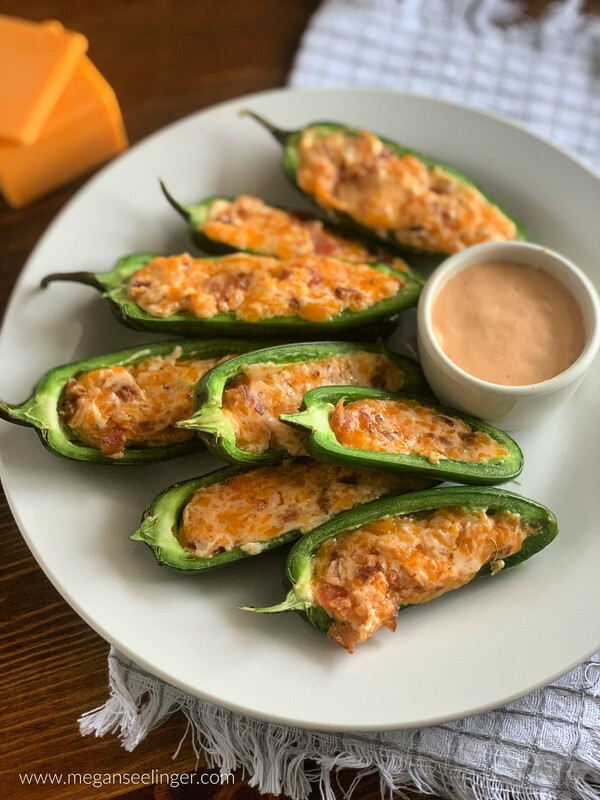 This week the hubby and I made these easy Keto jalapeño poppers with bacon and cream cheese and I just had to share them because they are so easy to make, with simple ingredients and the perfect way to add in fats on your Keto diet. I also made this guide 5 Ways to Add Healthy Fats to Your Keto Diet. 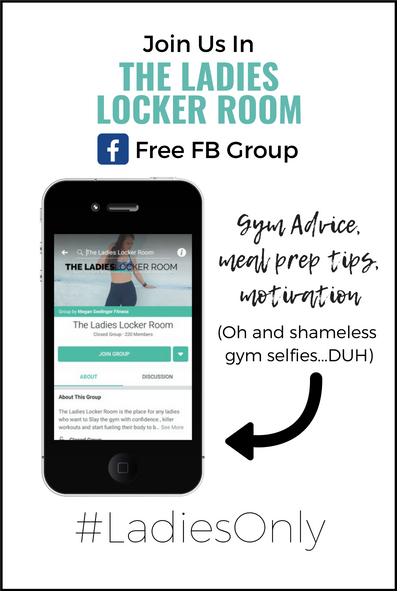 If you struggle to find ways to add fats to your diet without having to eat an entire block of cheese or something crazy lol. When you think of vitamin C you probably think of oranges, but jalapeños actually contain a lot of Vitamin C and vitamin B6, which helps your body fight free radicals and promotes healthy, firm skin. Ok, ladies don’t go rubbing jalapeño on your face that might not turn out well. Jalapeños apparently can promote weight loss too. They contain capsaicin which can boost your metabolism by 4-5%. I mean obviously eating this one recipe isn’t going to have a massive impact on your metabolism, but still good to know! Also, the hot flavor of jalapenos may decrease your appetite, and after enjoying this Low Carb Jalapeno Recipe you won't feel inclined to eat more…maybe. First, you will want to cook your four pieces of bacon and shred 4 oz of cheddar cheese and preheat your oven to 350F. In the mean time , mix the cheddar cheese and cream cheese together. It might get a little messy but the best method is to just use your hands because the two cheeses are difficult to combine with a spoon. Crumble or chop your four pieces of bacon and mix into the cheese mixture. I prefer adding th chopped bacon verse Bacon Wrapped Jalapeno Poppers, because the bacon usually comes all off with the first bite when you wrap it. Now cut your jalapenos in half and remove the seeds and ribs. Then use a spoon to stuff the jalapeno halves with the bacon and cheese mixture, evenly distributing the filling between all 20 halves. Finally, bake your jalapeno poppers in the over for 10 minutes. How many calories and carbs are in Keto Jalapeno Poppers? Each jalapeno is only .6g Net Carbs, so if you love the heat you can eat all the jalapenos every damn day! I prefer to dip anything with cheese or bacon in ranch. I prefer either regular organic ranch or I have really been into Trader Joes Organic Sriracha Ranch, which is what you see in the pictures. Another good Keto friendly option is making your own ranch dressing. Here’s a good recipe to try. @themermaidwithmuscles so I can see how they turned out! These cream cheese and bacon jalapeno poppers are easy to throw in the oven. The combination of cheese, bacon, and spicy jalapenos makes these the best savory fat bombs, Keto snacks or Keto appetizers for your next party. These Keto Breakfast Corndogs or Sausage Pancakes On-A-Stick, whatever you prefer to call them, are the perfect Keto breakfast idea for meal prep, grab-n-go low carb breakfast each morning, even the kids will love them. These Keto Pumpkin Muffin Minis are the perfect low carb breakfast muffins or a sugar-free Keto sweet snack that the whole family, even non-Keto-ers will love!